Lynn – Welcome ladies & gentlemen to our monthly Cobra interview. Your hosts today are Lynn and Richard. Our goal with these Cobra interviews as with our website is to inform, educate and prepare for coming events. Please remember that no one has all the answers all the time. Remember that your own internal guidance is the key and always go with what resonates with that guidance. For those new to our www.prepareforchange.net website and/or new to Cobra, you can get a more detailed description by listening to the August 2015 interview where more background on Cobra is given. The entire team at www.PrepareforChange.net are all devoted volunteers. No one receives compensation for their work done. Our skilled volunteer IT team are adding new features to the website all the time to make your educational journey informative and enjoyable. Please use the “donate” button at the right hand side of the web page. Your assistance greatly helps to cover our re-curing monthly website bills. Please use complete thoughts and sentences. If you are not specific and I don’t understand the focus of your question, then Cobra will not understand either. Please refrain from using letters only. Just because you know what they stand for doesn’t mean that I or Cobra understand. Do not quote other people’s work as Cobra refrains from making comments either for or against others. Keep your own comments to a minimum. This is only an hour interview so long explanations cannot be used in full. Cobra cannot be expected to know about or view videos that you desire comments on. It is better to choose a subject area and ask for comments. Cobra is quick to answer if it is something in his knowledge base. You can post video links that would be of interest to the rest of the readers, Post these with your question. These can support or further enhance the subject area you wish to have discussed. These will not be for Cobra to listen to, these will be for our readers. Read the other questions already posted. Your question may have already been answered. It is preferable to ask current events questions that have not already been discussed. Cobra frequently says that he has already talked about these things. We will offer links where you can research for yourself the answers to already asked questions. Don’t ask questions that are common knowledge and can be easily researched on your own. At this point, I would like to welcome back our Warrior of the Light and liaison with the Resistance Movement: Cobra! COBRA – Thank you again. It’s very nice to be present on those interviews. Richard – So, Cobra, thank you very much for allowing us to be here with you and giving us this interview. Cobra, my first question is: We have heard many different ideas of what the center of the earth is like. 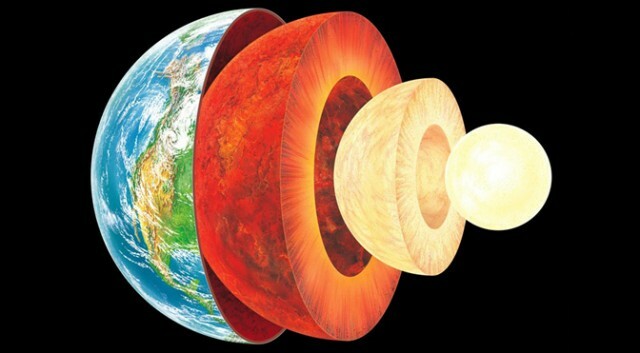 Many people say it’s hollow with oceans and a sun and of course scientist say the core is made of lava and so on. Cobra can you please tell us what the earth is really like from the core to the surface? Lynn – Cobra, is it true that the water on the surface of the earth comes from inside the earth? When we consider what we are able to observe from nature, it seems fairly sensible to think of the Earth as honeycombed. We know that friction causes heat because most of us have tested and experienced this. We also know that if heat is at a high enough intensity, it can melt any solid. So when we think of a proto-Earth forming when a cluster of stellar matter becomes big enough. This matter starts attracting other material from every side. This cluster then begins to liquefy after enough heat is generated. We all know what cohesive liquid does at free fall, such as the Earth 'falling' around the sun. We have observed this all of our lives during rainstorms, though rain is subject to wind resistance and significant flexion from impacts. 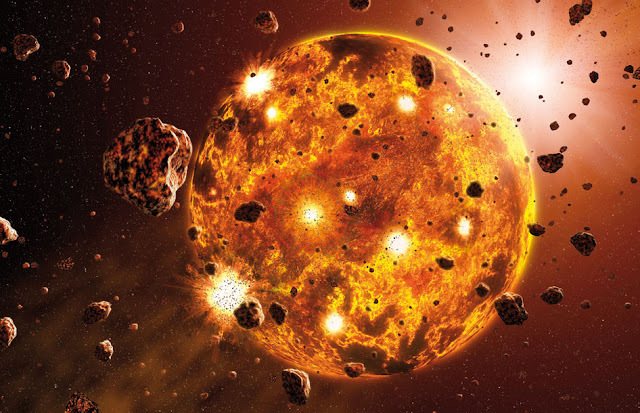 These impacts would occur on the proto-Earth as well, but the impacts would become less and less significant compared to the proto-planet's growing size. Most of us are familiar with igneous rock (volcanic rock) such as pumice stones some use in the bathroom. 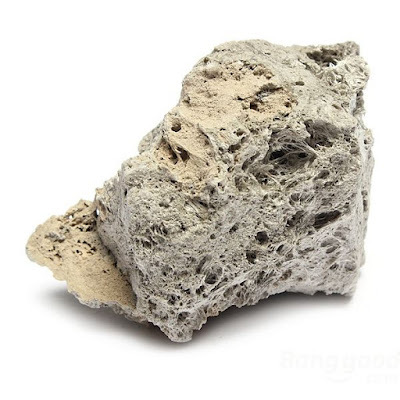 This is basically rock which, in it's liquid form, was impregnated with so much gas that it is able to float on water once it cools into a solid. 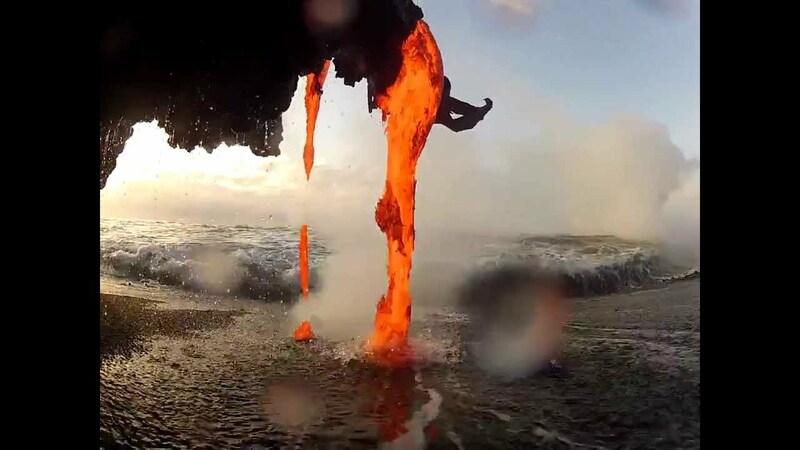 So we can conceptualize gasses being dissolved into liquid magma beneath the Earth's surface. As that magma cooled it would form solid rock impregnated with pockets (or bubbles) of gas. We are also familiar with the concept of boiling water, and if we have paid attention, we will have noticed that as the bubbles of steam rise to the top of a boiling pot, they get bigger as they rise. (We can also see this while scuba diving.) This is due to the fact that there is less pressure near the surface of a body of liquid than there is at lower depths within the liquid. This is the principle of liquid pressure. When we put all of these concepts together, what do we have? 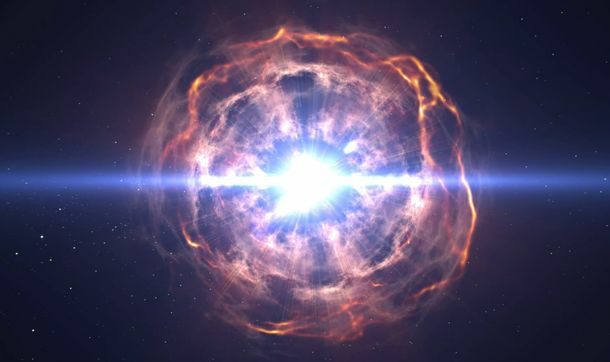 We have a slowly cooling ball of molten elements formed from the collection of stellar matter which crashed together, and heated up to form a larger and larger sphere. This proto-Earth would have the elements of the greatest density sinking to the center of the planet, and those which are lightest, rising to the surface. 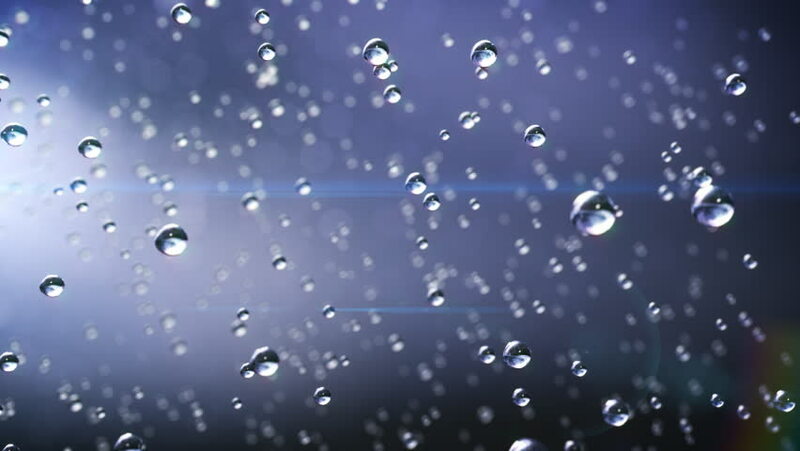 As dissolved gasses rose to the surface of the planet, they would either rupture, or cool into porous stone structures. The size of each rising pocket of gas would determine the size of the hollow chamber it would form. Some may be smaller, while others might be massive. 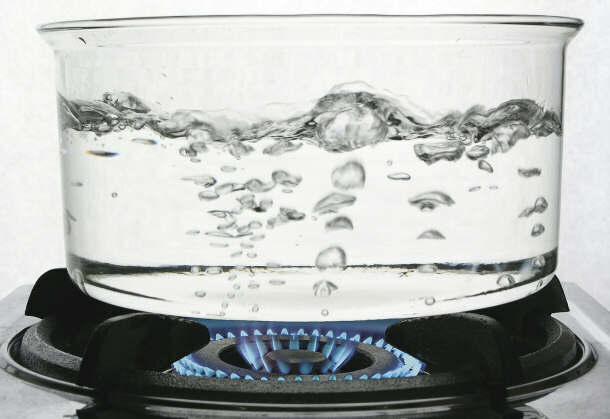 We know from the principle of viscosity that the thicker a liquid is, the larger the size of gas pockets it can sustain. Also, thicker liquids are able to sustain these pockets for a longer duration than those of lower viscosity. 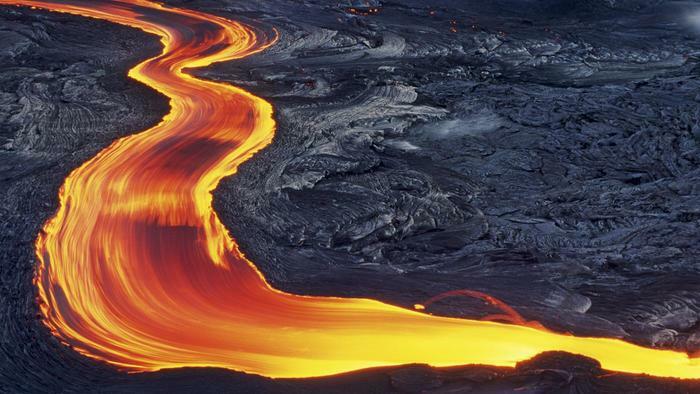 As we can imagine, molten magma is extremely viscus. This is the material, particular formation of the Earth. There is likely a very complex system of geometric structures within the fluid of the planet, as well as energetic, toroidal circulation within this fluid. It is this geometry and energetic dynamic of the Earth which likely formed the honeycomb arrangement of bubbles, or pockets of open space near the planet's surface. Richard – Cobra, did the earth really have 2 moons at one point? Richard – Is the moon that we currently have. Is it artificial or is it one of the original moons? Lynn – Is it true that the Cro-Magnon humans have amazing forgotten abilities because they were created to be the protectors of the earth and that all life that was being brought to the earth from other planets in our universe? Richard – Cobra, what happened to the Neanderthal man? Richard – So Cobra, about a year ago I remember you said that the royal families, more so the Khazar families, you said that they had been genetically modified with the Neanderthal but and I believe with an ET species. Is this true? COBRA – Exactly. The Khazarian are exactly that faction which has a lot of the Neanderthal genotype in their genetic make-up. Richard – Is this why they practice inbreeding and they don’t like to share their blood with the Cro-Magnon human? COBRA – This is one of the reasons. Many of them are not aware of this underlying reason but some of them are. And they perceive themselves to be the superior race. It is their distorted perception of reality. (thank you very much). Lynn – Many people say human nature is negative and evil but I don’t agree. When we are born we are pure unconditional love with no fear, worries or doubts. So it seems true that human nature is pure love. Would you agree with this? COBRA – I would say that the deeper human nature or should we say the soul nature is pure love but the personality is, I would say, the reaction of the incarnated soul on the primary anomaly and the conditions that we find here on this planet and free will is the deciding factor in which this personality will evolve. Either in a good direction or so-called evil direction. So the free will is the most critical element here. But I would say when the conditions on this planet will improve the vast majority of people will make their free will decision for the positive. (beautiful, thank you). Richard – Cobra, can you tell us about Mary Magdalene? COBRA – Ok. I would need to have a more specific question. Richard – We just want to know if she was married with Jesus. If they actually travel the world if they did positive things or if the things or the stories that we’ve heard are true. Like being a prostitute and those negative things. COBRA – Yes, she was I would say, the soulmate of the being that some people call Jesus. They were both initiated into the mysteries and they were sharing some advanced teachings together and a certain lineage was born from their union. (thank you very much). Lynn – Cobra, is it true Mary was Jesus’s guru and from birth? That she was preparing him for his mission? COBRA – I would say partially true. He had many so-called teachers and instructors and she was one of them. Lynn – Was mother Mary an incarnation of the divine feminine mother? COBRA – I would say that she was channeling the energies of that archetype. Lynn – Was mother Mary more powerful than Jesus? COBRA – I would say that each individual being in this universe has unique power and it’s not useful to compare any individual being with any other individual being as more or less powerful. (well said, thank you). Richard – Cobra, did Jesus leave his body in India? Lynn – Cobra, what is a saint? COBRA – A saint is a being that I would say tries to live his or her life according to inner principles. Richard – Cobra, what is a lord? COBRA – A Lord. You have many descriptions of that particular energy. It can be used in a positive or a negative way. That is a being that is in command of his own free will. (very nice, thank you). Lynn – Have you ever heard of the concept of the word GOD. G.O.D meaning Generator Operator and Destroyer? It would explain the creator being the generating aspect of the source that is constantly adding to the creation in ways of manifesting. The operator being the masculine aspect of the source guiding creation and making sure everything is as it should Be. The Destroyer being the feminine aspect of the source because destruction always results in the birth of something new. COBRA – OK. I would agree to a certain degree with this but again this is just a certain description, I would say a philosophical explanation of reality. (thank you). Richard – Cobra, is it true that The Source’s physical body is the physical Creation? Lynn – Are all universes based on the same type of experience? COBRA – Absolutely not. This type of experience that we have on this planet and in this corner of the galaxy is a very unique and very, I would say, strange and distorted experience. The vast majority of universes and also the vast majority of galaxies in this universe do not have that type of experience. Lynn – So are there universes that have easier lifetimes, without as many challenges? 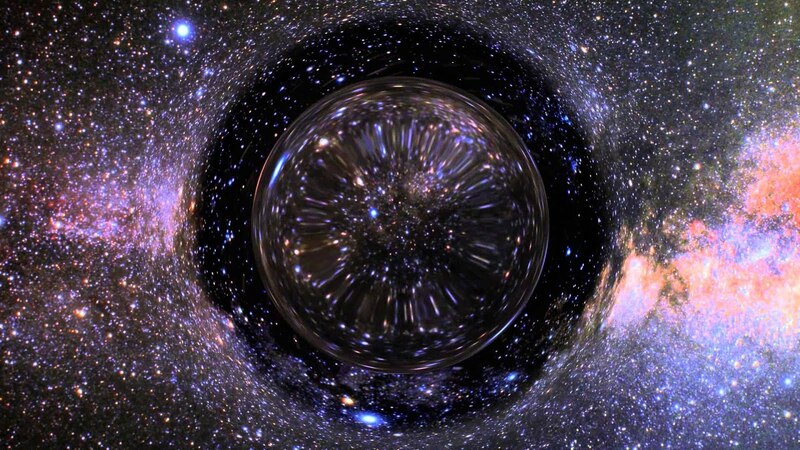 Richard – Are universes based on different principles? For example, I’ve heard that this universe we live on is called Free Will Universe. People can do what they want. Are all universes based on a principle like that? COBRA – There are some basic underlying principles which are the same but there are some particular differences based on different physical constants and different, I would say, conditions, different levels of development in that particular universe. (thank you). Lynn – Cobra can you give us an exact number of dimensions? Richard – Cobra, will there be a place for awakening humans to learn truth and be healed after The Event? COBRA – Yes of course, especially I would say on the surface of the planet there will be a lot of assistance for human beings that need a lot of healing. Richard – Are there any places like this now or will they come up after The Event? Lynn – There is discussion among the Secret Space Program (SSP) that Obama will ask Hillary Clinton and Donald Trump to back down and allow Bernie Sanders to become President as disclosure is coming. Is this truly the course of the Event. Is supporting the Disclosure movement leading to the switchover in currency and governance? Richard – Cobra, are the Akashic records real? Is it possible for humans to access these records? COBRA – Yes, they are real and yes it is possible to access those records. Richard – Are there humans now on earth now that are accurately accessing those records that you can actually trust? Lynn – What affect will the Event have on the human colony on Mars? Richard – Cobra, Is M-1 truly still alive or did the King of Kings die under house arrest in the 1960’s? Will the Dragon Families be in full compliance with the needs of the Event? Lynn – The Rose Creatrix, also known as Nyx, (N-Y-X). The primordial Goddess of Night in ancient Greek mythology, has awoken in a human body being fully after the Transit of Mercury in front of the Sun and whose consciousness conduit also includes the Ascended Master Beloved Rose of Light, Over soul Isis, and Archangel Mother Mary Queen of Angels. Without identifying my human name right now, I want to know if I am the living embodiment of the Goddess that you wanted to awaken by jump-starting the Sisterhood of the Rose? This subject was one which I discussed in an article based upon the Gaia series, Wisdom Teachings with David Wilcock. There was one personal point I made that all of us have our own special task toward the advancement and evolution of humanity. However, this is not always realized. There seems to be a strong temptation among many to superimpose over themselves an identity which they see as more important than their own. Numerous people think it somehow better to be the reincarnation of Mother Teresa, the avatar of a goddess figure, or even the second coming of Jesus Christ. As I understand it, this can commonly be linked with a certain mental complex which feeds off of the falsehood that fame is somehow the most important thing a person can have. However, by my observation, fame is worthless. It is very important, I believe, to acknowledge our own value not based upon the fact that people know our name, or that we have somehow been noticed. Our value is centered around the inner divinity that resides within each and every one of us. This divinity does not choose favorites based upon popularity, and it doesn't care what job we have. Our value is inherent and infinite. It cannot be lost. However, it is up to us to see that this value is put toward productive pursuits, and the ultimate goal of human ascension. No matter what our name is, if we can successfully do this, the effort and the benefit will be priceless and universal. Richard – Are the Indigos, the Oraphims, Crystals, and other children of the light in direct communication with the Company of Heaven now? COBRA – Some of them yes. Lynn – This person states: I am preparing my team for full functionality by removing alien etheric implant devices, capping the chakras, defragmenting of the heart and mind, opening the emerald modem of the heart and saying daily spiritual warrior prayers that shield the light body and reemphasize Benevolence and Compassion. Do you have any particular instructions for this person? COBRA – No. I would say that each person needs to go inside for guidance. That guidance is, I would say the most reliable guidance you will ever get. (thank you). Richard – Cobra, what are the 7 mental planes? Richard – Are the 7 mental planes the same as the 7 soul parts? Richard – So what are the 7 soul parts? Richard – Is it our job to bring the balance to those parts or to become those 7 parts or how do those affect humans? COBRA – It is the job of the individual being to develop those in full alignment with the plan of the soul of that particular individual. (great, thank you very much). Lynn – What was the purpose of the time loop to the present moment created by the Minoan people from the Central sun who created a civilization in ancient Crete? COBRA – The purpose of that time loop was to reinforce and strengthen the goddess presence on the surface of the planet. Lynn – Speaking of Crete Cobra, how was your conference there? Richard – Is there anything you can share with us? COBRA – We had a very good, very nice very powerful group. We had a lot of harmony and a lot of goddess presence and very strong energies that are creating support fields for the planetary transformation process quite strongly. (awesome, thank you). Richard – Cobra, does the Voice of God technology also work to block ideas from occurring in someone’s mind? COBRA – Yes, one aspect of that technology is basically blocking the ideas or shall I even say blocking the connection with your higher self. Richard – Is there any way to remove that technology? COBRA – The most effective way is to connect with your higher self and that connection will begin to dissolve that kind of technology. (thank you very much). Under this tab you can also find the information on the Galactic Codex which represents the legal basis for all actions of the Confederation in this and other galaxies. This Codex is not a rigid set of external laws but a systematized code of inner ethics of all souls of Light that all beings of Light accept with their free will because it reflects their inner truth. I encourage you to read this here: http://prepareforchange.net/the-event/galactic-codex/ (specific website addresses can be found in the transcript). Please use the question guidelines discussed earlier. As always you can also click on the Radio Show widget on the right hand side of the page to listen to Cobra interviews as well as other interviews. Lynn – Cobra, why is there so much fighting on the surface in places like Kashmir and Tibet where there is a positive Agarthan or Pleiadian base underground? Wouldn’t their positive energies prevent fighting above ground in these areas? COBRA – The exact location of the base is not in the fighting area. The fighting is taking place quite far away from that Pleiadian base. At this point the light forces do not control the surface of the planet. Richard – Cobra, what do you think of the national/social banking system as an alternative, where government can create, issue and circulate the sole national currency at her will? Do you think it is more efficient and creative than the new Gold Standard? 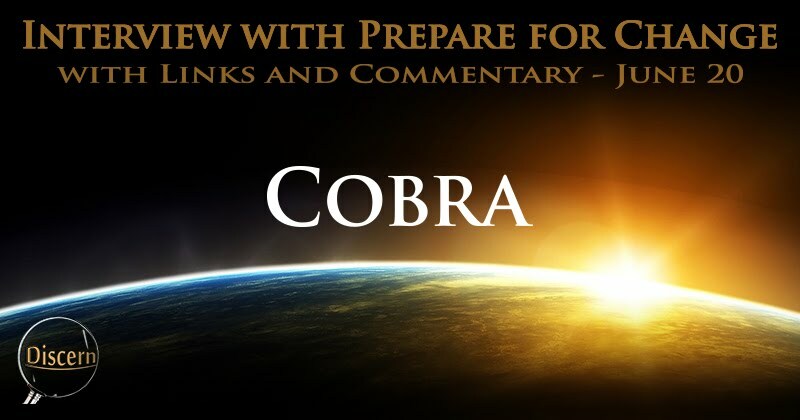 COBRA – It is not more efficient than what is being prepared after the financial reset. This is just one or I would say option that some people are supporting but I would not say the most effective and positive option. Lynn – Cobra, why is it said that the sun burns people’s skin? Is it really the sun that is causing the burning or is it maybe the work of Archons or some other negative force? What is causing this phenomena? COBRA – Basically the sun is getting more active because of the accumulative of the Galactic central sun and the veiled technology is misusing those particles to create so called energetic burns. So I would say that the veiled technology is misusing the natural outbursts of the sun the natural sun activity which is a result of the increased activity of the galactic center. Lynn – Is there anything that we can do besides “sunscreen” as this blocks the sun’s rays preventing skin absorption of Vitamin D which is important for our immune system to protect us from diseases like cancer, heart disease and osteoporosis. It is also key in regulating the absorption of calcium and phosphorous. Would it be helpful to use manifestation by placing an invisible shield around ourselves? Lynn – Will this end post Event? Will sunburns become something of the past. COBRA – It will gradually dissolve as the veiled technology will be dissolved and the radiation of the sun gets balanced throughout the solar system. (thank you). Richard – Cobra, can you give us any information regarding human psychosis? Is there an element of E.T. or Archon interference in these issues? COBRA – In the vast majority of cases the Archons and their technology are the cause of psychoses. The other cause is a traumatic. . . Post-traumatic Stress Disorder (PTSD) so all of those things are created by the Cabal and by the Archons. After the event the psychoses percentage will drop basically almost completely to zero. Richard – Is there anything people that are suffering from this right now. People who have family members, is there anything that they can do to help them? Lynn – A scientist in the USA back in the 1940s and 1950s named Royal Rife invented a frequency machine (called a “Rife machine”) that basically figured out the frequency of every disease — cancers, multiple sclerosis, and many illnesses caused by viruses, bacteria and parasites. COBRA – Tachyon chambers are quite effective and have produced excellent results. Lynn – You have recommended drinking as much clear water as we can. Are there any foods you can recommend to help get rid of cancers and other diseases? COBRA – I am not a nutritionist so I cannot give the specific advice in that area but I would say that clear water, good quality food and lots of nature and fresh air will assist in bringing body back into balance. (thank you). Richard – Cobra, a reader has said; I received an update from Winston Shrout stating the Black Nobility has surrendered. I have not seen any reference posted anywhere else. Cobra is there any substance to this? COBRA – The Black Nobility has to yet surrendered. When they will surrender it will be at the time of the Event. (thank you very much). Lynn – Cobra, you have written on the http://2012portal.blogspot.com blog about these Asian goddesses, Xi Wangmu and Dou Mu. You have said Dou Mu is here on earth now, somewhere in Asia. You had written she is in her light body, but is this a physical form? Lynn – Can we talk or telepathically connect with these goddesses or communicate with them in any way? COBRA – If you have pure intention you can connect telepathically with them of course. Lynn – Are there any goddess vortexes in the United States? COBRA – There are quite many but they are not publicly released at this point for certain reasons. (OK thank you). Richard – Cobra, what is the significance of Sedona? COBRA – Sedona is one of the most important energy vortexes on the planet right now. (thank you). Richard – Is there anything that we can do to help it in any way? Lynn – Cobra, a reader wrote the following; About 2 months ago I had a very powerful vision. The Event had happened. The earth was moving up, first into the 4th, then the 5th, then the 6th dimension. While this was happening, I saw Jesus and Mary Magdalene walking down a set of stairs. The LIGHT kept rising and getting brighter. The earth was healed and beautiful! Jesus and Mary were pure, unconditional love. And behind them were the spirit halves of the male and female of Source! I was shown what heaven looked like, but what took me by surprise was that we, the earth, could go up to the 7th dimension. And the shock of that I sensed is that there is something above Source as we know it! And whatever this intelligence is, it is in the 7th dimension. I was not ready to find out what is above the Source, because I was totally unprepared to even receive this knowledge. My question is, is what I saw going to happen and is there an intelligence above Source? COBRA – I would say The Source is at the top. I would say the source is at the core of the creation so there couldn’t not be anything above source. What people can understand as being something above the source is when we resolve the cosmic anomaly we come back to the source with that understanding which was not present while we were incarnated in this dimension. (thank you). Richard – Cobra, what is the plan of the light forces in regards to the impeachment of the B.R.I.C.S., Brazilian President Dilma Rousseff? We know the Cabal wants her out and that her ouster will affect the B.R.I.C.S. Cobra can you give us an update on this situation and the current political climate of the people of Brazil? COBRA – OK. There is a quite intense conflict between the light forces and the dark forces in that particular country. And this conflict is quite intense. The final outcome will be positive but before we get to the final outcome there may be a lot of tension and a lot of conflict and many situations that will appear not to be good. (I understand, thank you). Lynn – A reader in Turkey wrote: On four nights when looking out the window I saw a red cloud, then blue lightening and no rain. Do you have any information on this phenomena? Richard – Cobra, it has widely been reported that the Cabal plans to reduce the Earth’s population by 90%. With the world’s current population estimated to be 7.4 billion, using that 90% figure gives us a total of 6,660,000,000 (six billion, six hundred and sixty million) murdered. Can you offer any comment on this figure? COBRA – This is just a calculation for this particular current situation but those plans will not be successful anyway, so those numbers are not indicating anything. (thank you very much). Lynn – The last few months we have noticed lots of cases of people getting ‘possessed’ by entities on the streets, subways, schools, super markets, etc… It is as if it was some sort of Archon infection going around these days! Do you have any knowledge of what is happening Cobra? Richard – Some light workers and light warriors are now ready for first contact. Besides meditation and prayers what else could you recommend they do to effectively bring about and expedite this long overdue event reunion? COBRA – It is the highest purpose to spread information to awaken as many people as possible through alternative media, to open blogs, to write articles, to do things that can assist any way in this particular situation. (I understand thank you). This need was actually one major reason why I chose to start the DTM website. There have been numerous lessons in my life which have lead me to the realization that change was inevitable, and that this present experience did not at all represent the true potential of human existence. There are numerous people like myself, I imagine, who see this lifetime not so much as an end, but as a preparatory period for something magnificent. Part of this change that is soon to take place is mass contact with our off-world relatives, but in order to do this, the mass consciousness of the planet must be aligned with this goal. In order for us to see full disclosure, the collective free will of the planet must be in agreement, in full readiness for change, and for learning the entirety of the truth. I believe this occurrence to be an inevitable moment in our near future, and when we are ready, change will occur so fast, we will be left in amazed bewilderment. http://prepareforchange.net/participate/create-join-a-group/ and http://prepareforchange.coeo.cc where you can find a local group of Prepare for Change or you can start a local group. Once you do this you will enjoy meeting with like-minded people in your own area. Lynn – Since most laws and the entire judicial system is going to change after the Event, what will the future for Judges and lawyers around the world look like? COBRA – The legal system will be greatly restructured, simplified and there will be no need for judges and lawyers will be drastically reduced. (thank you). Richard – Cobra, there is currently a movement to create common court laws in each county, is that a part of this system? COBRA – Yes. (thank you very much). Richard – Cobra, RT news said last week that Argentina was ending the ‘public transmission’ of RT News in Argentina. They were shocked because the notice came from the Argentinian government as a surprise and with little notice to them. It seems the Cabal is gaining a strong foothold in South America. What do you know about this situation Cobra? COBRA – I was not informed about this situation but I can check and the next time you ask this question I can get some answers. (thank you very much). Lynn – With all of the Souls on the Earth why can’t we get 144,000 to meditate at the same time to reach critical mass to bring about The Event? They can get a million students to mediate, but why can’t we get 144,000. Why has it been so difficult to make happen??? COBRA – It is because this particular meditation is a little bit more complex and requires a little bit more dedication. (I understand, thank you). This is a point which I feel needs a bit more definition. As I understand it, our mass meditations have been extremely beneficial for the planet. However, I wonder, if there is more complexity to this mediation than we have previously understood. This may indicate a sort of learning curve we were not initially aware of. If this is the case, and this is an important issue, there may be a need for a breakdown of the specifics of this meditation so that even beginners are able to accurately and successfully contribute to the catalyzation of The Event. If there is more specific instruction to be given, I would hope that it will come in the very near future. Then again, we only need practice. Either way, I look forward to greater specification of the subject of our meditation. Richard – Brexit is an abbreviation of “British exit” that mirrors the term Grexit. Brexit refers to the possibility that Britain will withdraw from the European Union. The country will hold an in-out referendum on its EU membership on June 23. Cobra do you have any opinion on the Brexit vote that will occur on June 23rd? COBRA – I think this will happen on June 23rd. We will need to see what will happen because basically the Cabal always, or I should say Almost always tries to interfere with the voting process. So most likely this will happen again. (great, thank you). Lynn – Do you have an opinion on this Cobra? Do you think they will vote for the removal from the EU or do you think they will they stick with it? COBRA – Again I would say that most likely people will vote for removal from EU and this vote will not be respected. Lynn – What part in the overall situation plays the Venusian hierarchy (Sanat Kumara and the other kumaras) and the planetary hierarchy of ascended masters in the liberation of the planet and The Event? COBRA – OK. They are assisting with their energies. They are uplifting the atmosphere, inspiring people and they are also preventing many things from happening that would otherwise be quite dramatic and could disrupt the balance on the planet quite much. (thank you). Richard – Cobra, are you aware of some of the oldest races residing in the inner earth such as the Hyperboreans and Polarian (Adam Kadmon) race? in all of the other Universes had been integrated into this one. What do you mean by that? Lynn – When did this happen. COBRA – This was happening around the time of 1999 when a huge cosmic portal had opened and this cosmic portal has triggered drastic changes which will now as a consequence liberate the solar system and planet earth. Lynn – So was this a short period of time that this occurred or has it been a gradual change. COBRA – It was quite intense and quite fast. (OK). 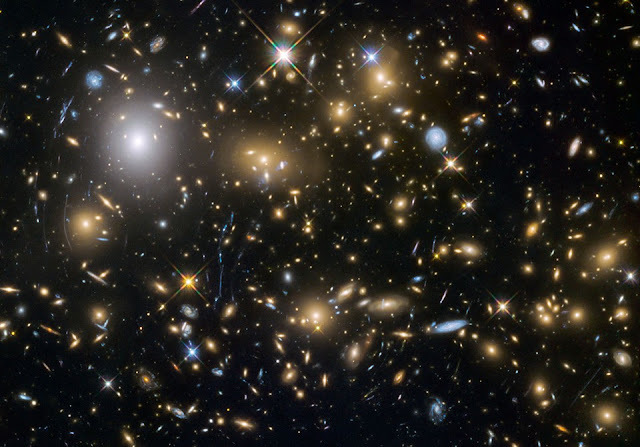 Lynn – Is this what our scientists are observing and describing as “the Universe is getting bigger and expanding”? Lynn – Although I don’t believe in astrology, (especially the western one), I’d like to know: Did the merging of multiple universes into a single one have an effect on our Astrology charts? COBRA – No because the Western astrology usually uses the main 9 planets of the solar system, the sun and a few of the fixed stars and usually does not take into account more distant objects such as other galaxies or other universes. (got cha).